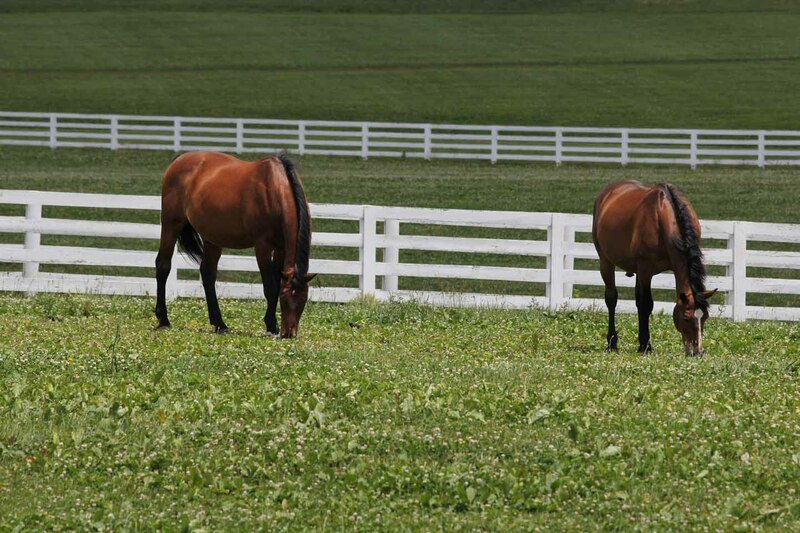 Lexington and Kentucky have long laid claim to the title “Horse Capital of the World” thanks mostly to the state’s famed Thoroughbred breeding and racing industry. However, another longstanding equine sector has developed a strong footing the past few years and now is quickly adding to the commonwealth’s reputation: The sport horse segment is growing and thriving, especially in Central Kentucky. 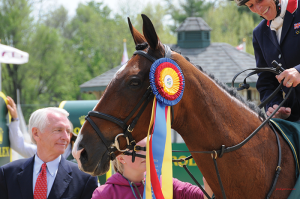 The sport horse’s bright, strong future in the commonwealth was virtually assured when the Fédération Équestre Internationale (FEI) chose the Kentucky Horse Park to host its 2010 World Equestrian Games, the world’s premier equestrian event. Three years after the fact, that 16-day competition looks to have permanently jumped sport horse activity into a higher level. 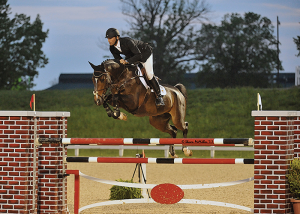 In February 2012, the North American Riders Group’s annual report of the Top 25 Horse Shows included three at the Kentucky Horse Park (KHP) – the first time any venue had more than a single event. One of those, the Alltech National Horse Show, brought in 350 riders from nine countries and more than 560 horses, all for sport horse events. Eyebrows raised everywhere when Nicholasville-based Alltech became the name sponsor and moved the National Horse Show in 2012 to KHP from its long-time New York City home in Madison Square Garden. The show’s final year at the Madison Square Garden was in 2001, and for nine years it was hosted at alternating locations in New York and Florida. Alltech became title sponsor of the Alltech National Horse Show in 2011, settling the historic show in its new home at the Kentucky Horse Park the same year. Actually, sport horses and events have been in Kentucky all along, and their reach and influence has quietly grown – because it has been overshadowed by more romantic and exciting Thoroughbred racing, “the sport of kings.” Racing commands attention due not only to high-dollar stakes purses and eye-popping prices for premium horses but to pari-mutuel wagering and the potential thrill of cashing tickets. Sport horse events in the United States tend to be more low-key and family-focused, and without the large purses awarded at race tracks. There is money in the sport horse industry, however. Just ask the brokers who specialize in horse farm real estate. Clients from global sport horse centers are now regularly buying property and setting up new operations. 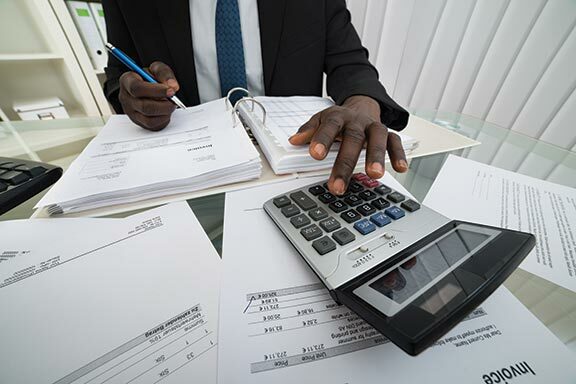 Undoubtedly many of those investment decisions are the result of the Alltech 2010 FEI World Equestrian Games. Of the 507,000 tickets sold, 70 percent went to non-Kentuckians. Attendees came from all 50 states and 63 foreign countries. The 632 human athletes and 752 horses that competed came from 58 nations. 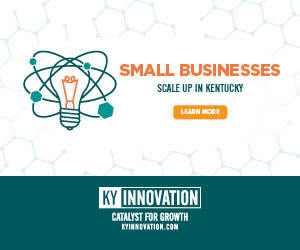 There were two official economic impact studies – one commissioned by the state of Kentucky estimated a $201.5 million impact, and the other commissioned by the FEI estimated an economic impact ranging from $373 million to $396 million. There were several important firsts when WEG came to Kentucky, most notably that it was the first time it occurred outside of Europe. It was the first time world championships for eight equine disciplines were held in the same place, and the first time they’ve ever had a title sponsor, animal feed supplement producer Alltech, which also provided much of the capital for a new 5,520-seat indoor arena. Given that sport horse events are one of the three most popular audience draws in Europe (soccer and Formula 1 racing being the others), having WEG come to Lexington was confirmation that sport horse event popularity is solid in Central Kentucky, the region and in America. Although many Americans are unaware of the range of events – much less the fierce international competition – the United States performs strongly throughout the world. Another signal of the credibility of KHP and the region’s love of horse is the fact that Rolex has held its four-star equestrian Three-Day Event there since 1978. In Olympic years, Rolex is a key selection event in determining U.S. team members. Equestrian sport has 10 disciplines, eight of which are the most common events: combined driving; dressage; endurance riding; eventing; paraequestrianism; reigning; and show jumping. Outside of the world championships, you can find those events in the disciplines occurring in Kentucky throughout most of the year, but often featuring only one event, such as dressage. Potential to get much bigger still? For the last 20 years, events have been on the rise. 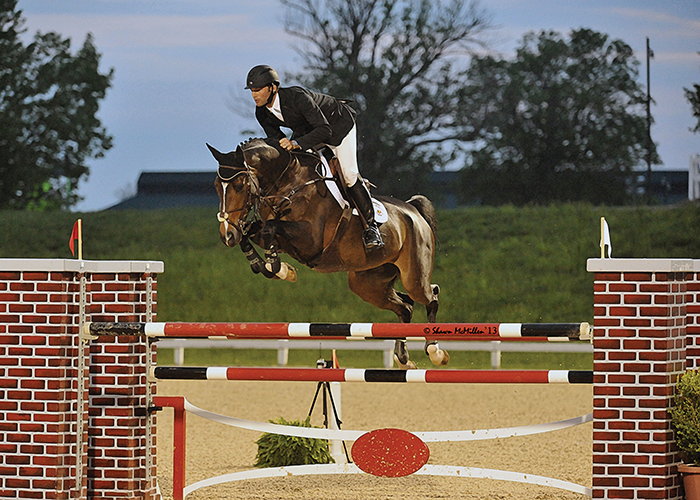 In July alone, there were eight sport horse events at the Kentucky Horse Park, evidence of the strong appeal and variety of sport horse activities. That KHP is considered the premier U.S. sport horse venue is another feather in our region’s cap; better yet, it rivals many of the best venues in Europe. Most equestrian venues can support one event at a time, but KHP often has three or more simultaneously. That variety creates a something-for-everyone opportunity for visitors. Derek Braun and his wife, Gwen, own Split Rock Farm and believe Kentucky is only beginning to realize its potential with the sport horse industry. WEG “created the infrastructure for a real beginning and is by no means the finish line for dressage, show jumping and other events,” Braun said. He would know. Braun started riding at age 7 and by 16 was one of the premier junior riders in the United States. He went on to win international events. “Lexington has a culture of the horse – it’s embedded in the community like no other town in the U.S.,” Braun said. “Even those not in the sport love it. Still, how to grow it in a way that continues to involve the whole community is the challenge. To prove his point, Braun and his wife have organized a series of amateur events in “the European style” at their farm in northern Fayette County. Their roster of sponsors includes local law firms, car dealers, feed vendors and a variety of others. At Split Rock Farm, they’ve created an affordable, comfortable, family-friendly way for young riders to learn and make friends in a safe, comfortable atmosphere. There’s increased sport horse sector activity in Shelby County, which bills itself as the American Saddlebred Capital of the World. WEG helped “showcase Saddlebred horses, events and ownership to new eyes, many of whom were unaware and are now part of a growing audience,” said Katie Fussenegger, executive director at the Shelbyville and Shelby County Tourism Commission & Visitors Bureau. New Saddlebred farms are on the rise in Shelby County as the state’s agricultural landscape continues to shift. Saddlebreds were refined by Kentucky breeders more than 200 years ago and as long ago as the Civil War were a favorite mount among military officers. Having established a breed registry in 1891 and spread around the world, today they are the perfect-postured, gaited show animals sometimes known as the peacocks of the horse world. Thoroughbred racing meets at Churchill Downs, Ellis Park, Keeneland and Turfway Park occur in bursts that total a few months a year, and the steeplechase races at Kentucky Downs in Franklin run no more than two weeks per year. Even then, other than those directly involved in the races, the majority of people who attend horse tracks do so only for the day. 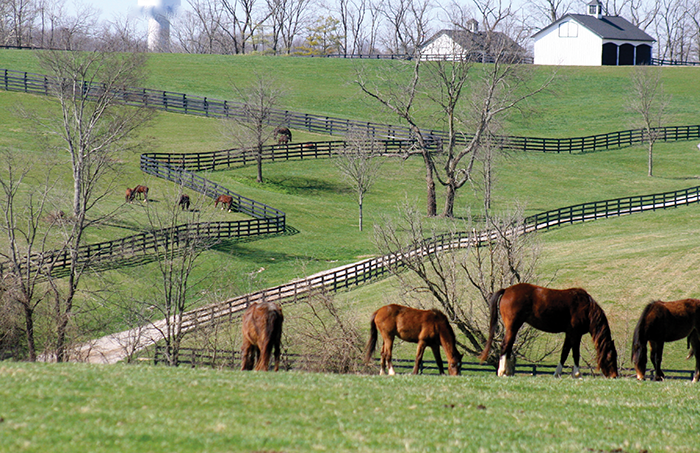 Horses graze outside the Alltech Arena at the Kentucky Horse Park. 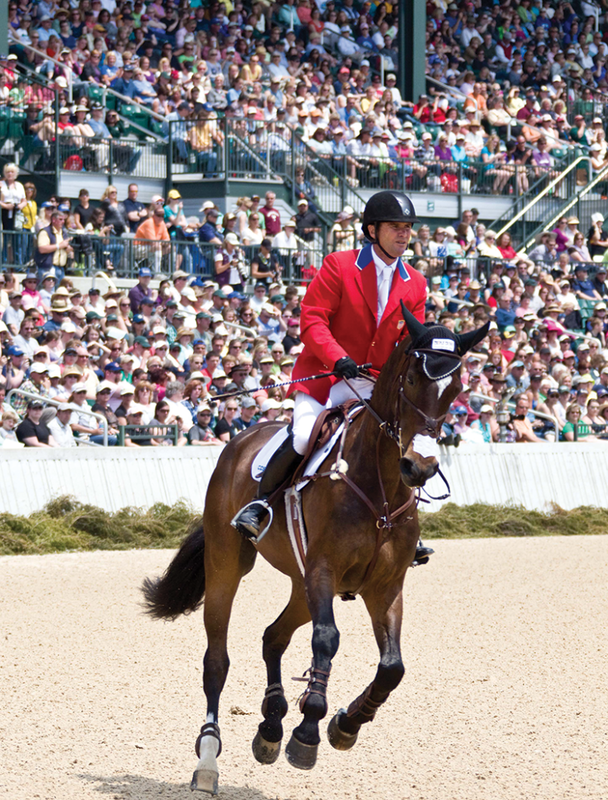 Sport horse events, however, are multiday and occur almost continuously May through November at the Kentucky Horse Park, with some running for up to five days. They bring tens of thousands of people – including entire families – to Kentucky for extended stays. This feeds millions of tourism dollars into local economies, but many wonder how this helps the rest of the state. John Nicholson, executive director of the Kentucky Horse Park, explains the revenue generated by visitors. And since the wide-ranging facilities upgrades made in connection with WEG, KHP is now considered as “America’s go-to spot for national and some international competitions,” he said, which means a steady stream of future revenues. KHP also generates jobs. While its staff of 78 full-time people and another 15 for food service is not huge, there are many more jobs connected with park operations, including contract workers for a variety of seasonal jobs. Beyond the park’s direct staff, there are 35 different horse-related organizations and associations that have made KHP their homes by locating their headquarters and administrative offices there. They employ between 350 and 400. In all, 650 to 700 people report for work each day at KHP for equine-related jobs. There is growth in the businesses that support the sport horse industry, such as veterinary services. Alex Riddle, who handles public relations and marketing for the full-service Rood & Riddle equine hospital, also sees WEG as a launching point. After years of slow but steady growth, Riddle said their firm has seen sport horse business skyrocket. “For our equine podiatry business alone, we now have regular clients from eight states and seven countries,” Riddle said. Many sport horse events, such as show jumping and eventing, place high demands on the horses, and podiatry is an important part of their care. It takes a special horse to compete. The majority of sport horses are “warm bloods” and breeds that work well in the events featured in sport horse competitions. 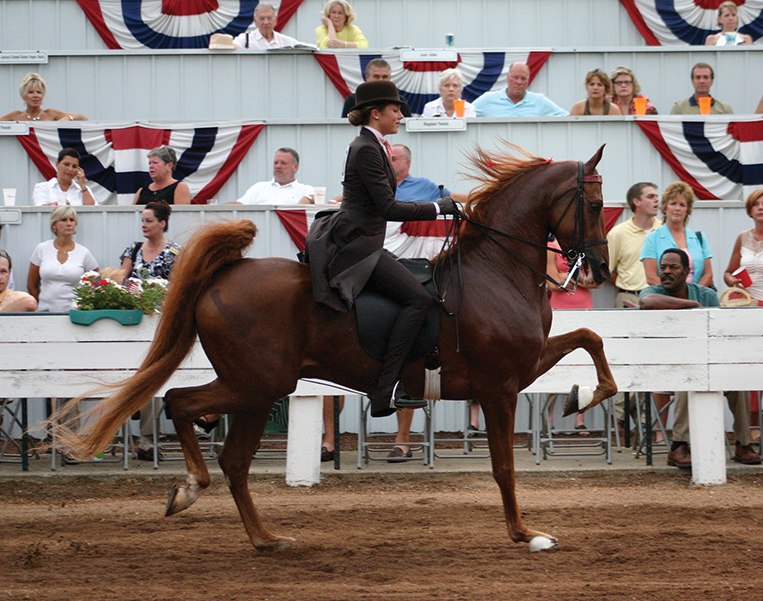 While the Thoroughbreds that Kentucky is famed for are sometimes used in competitions, most individuals of this breed are not able to handle the intense physical demands of activities like jumping, or lack the temperament for events such as dressage, or cannot move in a manner or style that meets specific performance characteristics mandated by event rules. 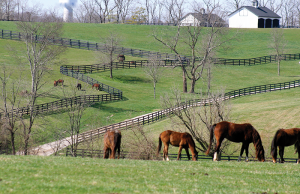 Shelby County is known for its American Saddlebred farms. The Shelbyville Horse Show was named to Southeast Tourism Society’s Summer Top 20 Festival and Events for 2013. Europe remains the leader in warm blood horse breeding, but, like other aspects of the sport, new blood has come to the Bluegrass. People have bought farms, invested in the area and now consider it their part- or full-time home. Tom Biederman, owner for 18 years of Biederman Real Estate and Auctioneers in Lexington, has represented many horse farm buyers and sellers. The nearer the park in Fayette County, the greater the activity, but surrounding counties are seeing new farms established, too, with many in Scott County just north of KHP. Scott, Bourbon and Woodford counties also are free of the minimum farm size restrictions. Kentucky is not yet as attractive to breeders as Europe, which has a longer and stronger tradition, Braun said, but it is becoming more competitive. Biederman has seen steady growth in the number of sport horse farms and expects it to continue. Partly that is because sport horse farms have a lesser need for acreage. Kentucky’s larger Thoroughbred infrastructure and culture provides a strong natural support for sport horse operations, too. A view at Golden Creek Farm in Shelby County. It’s a combination of assets that is attracting sport horse farm buyers from abroad. 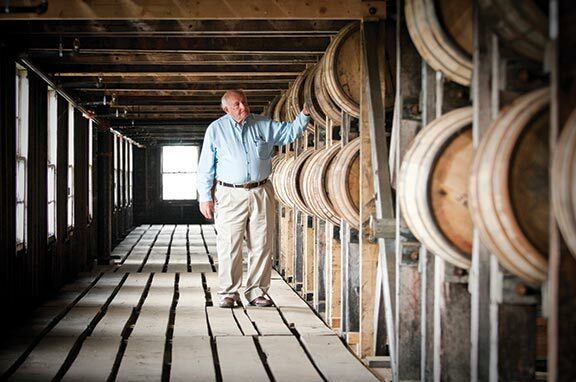 Kentucky’s charms extend beyond the equine infrastructure and its conveniences. The region’s lifestyle is proving to be inviting for newcomers when they explore beyond their new farm, Riddle said. Those new to the area quickly join the nightlife. 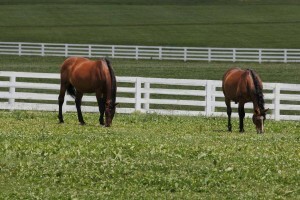 All those interviewed agree that Kentucky’s sport horse sector is poised for even more growth. They say what’s needed is more community involvement, and stronger, more consistent participation by local leaders and businesses. Riddle agrees that the sport horse is achieving a firm footing in Kentucky. “Even though the Bluegrass is well known for Thoroughbreds, the sport horse industry’s growth, along with the rise in other types of events at KHP, is further proof that we have the most solid claim to being the horse capital of the world,” Riddle said. 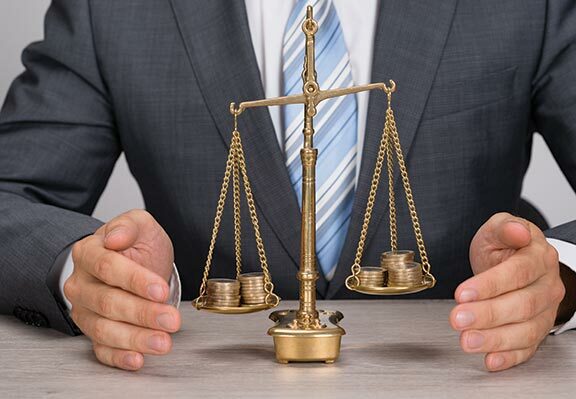 The future – and the promise of future growth – is bright indeed. Frank Goad is a correspondent for The Lane Report. He can be reached at [email protected].